The Next Wave: The latest certification tools for sustainability in offices and other buildings put the focus on occupants’ health. 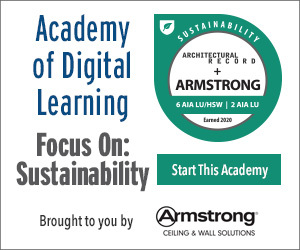 Discuss the goals of the WELL Building Standard and of Fitwel. Outline the structure of both certification systems. Explain how WELL and Fitwel help define the relationship between human health and the built environment. Discuss the challenges to certification under both systems. The last five years have seen a surge in interest in the link between the design of our physical surroundings and our health. 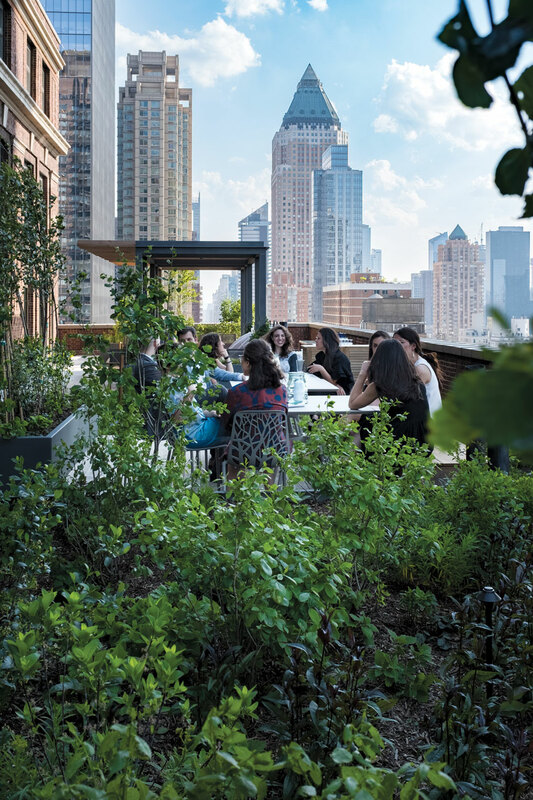 And while many strategies that were developed to minimize buildings’ negative impact on the environment also improve health outcomes, there is a growing desire among architects and their clients to address health directly. Two recent certification systems, Fitwel and the WELL Building Standard, support doing just that. Biophilia plays a large role in COOKFOX’s new Midtown Manhattan offices. The LEED Platinum and WELL-Gold space has three planted terraces where employees grow vegetables and raise bees. Sources say that the two certification tools and the new interest in occupant well-being is a natural progression of the green movement beyond its earlier focus on building efficiency. “It’s sustainability’s second wave,” says Rick Fedrizzi, former CEO of the U.S. Green Build­ing Council and now chairman and CEO of the International Well Building Institute (IWBI), which oversees development of the WELL standard. Joanna Frank, executive director of the Center for Active Design (CfAD), which administers Fitwel, explains this mounting momentum as a result of growing awareness. “The idea that design impacts health is now part of the public understanding,” she says. WELL is the slightly more established of the two systems, with IWBI releasing version 1.0 of the standard in late 2014 after six years of research and development. So far, 63 projects have been certified or precertified, and 466 projects have been registered. All in all, buildings certified or on the path to certification total more than 100 million square feet. Although the standard can be applied to a variety of project types, 418 of the registered and certified projects are workplaces, with multifamily residential developments coming in a distant second at 82. Most of these WELL projects are in the U.S., but the standard is also gaining ground internationally, especially in China. Fitwel is younger, having just been launched in February, with an updated scorecard scheduled for release this month. Although the nonprofit CfAD manages the certification process, two federal agencies, the Centers for Disease Control (CDC) and the General Services Administration, developed the rating system. The workplace-specific standard aims to improve occupants’ health regardless of building size, age, location, or budget. To date, over 150 workspaces—mainly in the U.S. but with a handful of early adopters in Canada and Europe, affecting more than 165,000 occupants—have been certified under the standard, with another 600 projects com­mit­ted through 2018.